Give Your Children a Head Start in Life! Bilinguals and multilinguals not only have obvious practical advantages in an increasingly globalized world, but they also turn out to be smarter. Learning languages has a profound effect on your child's brain, improving cognitive skills and even shielding against dementia in old age. Spanish for Kids: whether you're traveling with your children in Latin America or if you've relocated to Panama, we have many years of experience teaching boys and girls of all ages, and we'll get them speaking Spanish while they're having a blast! Spanish for Teens: besides daily lessons, teens will interact with the local culture, make Spanish speaking friends, gain a better understanding of an environment different from their own, achieve more independence and responsibility, have a higher appreciation of what they have back home and much more! Rates: Group $9.25 - $13.75 p/hour. Private $14.50 - $25 p/hour. Minigroups $11.25 - $17.50 p/hour. 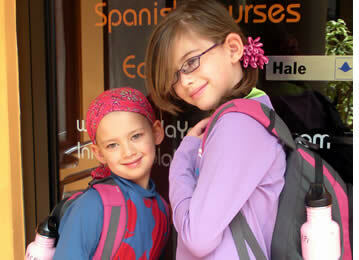 For children 12 and under we offer both group and private Spanish lessons: it's your choice! When placed in a group, your son or daughter will only have classmates of a similar age and Spanish level (maximum 6 students per class but the average is around 3 to 4). In private lessons, your child will have his or her own private Spanish tutor. Group lessons are mostly available during the summer holidays (June, July, August) and sometimes during Panama's high season (January, February and March), when families on vacation come to our Spanish Schools in Bocas del Toro, Boquete and Panama City, Panama. Groups are only available when siblings can be placed together with the same Spanish teacher or when other children of a similar age and level are joining us for the same dates. If a group is not possible, private lessons are offered. If you would prefer to limit the size of your children, a mini group is also an option. Feel free to contact us about group availability for your child. Children are special students and must also be taught in a special way. For this reason, children have a privileged place in our schools and we take into very careful consideration how we give classes to them. We make sure their classes are dynamic, to keep them interested in learning a new language, and at the same time educational, to make sure that they really get the most out of each hour of class. We know that you want them to have a head start in life by giving them the opportunity to speak Spanish. We will not only fulfill each parent's expectations but we will also bring out the best of each child: your treasure becomes our treasure each time he or she comes into the classroom. 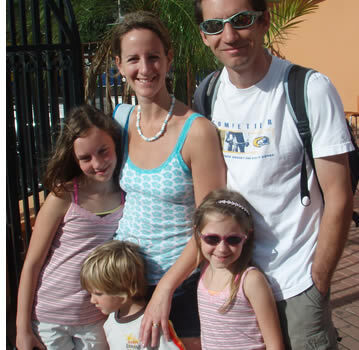 We also help families plan their Family Language Vacation Program so that everyone can have Spanish lessons at our Spanish schools in Boquete, Bocas del Toro and/or Panama City. We will help your family make the most out of your time in Panama helping you organize and plan what to do during the weekends and after classes. Habla Ya's team of qualified teachers have plenty of experience teaching children. Besides Spanish lessons, our teachers will play games with them that will also help them with their language skills, like bingo and monopoly. Kids can get bored inside a classroom so our teachers also take them to local gardens like El Explorador, Mi Jardín es tu Jardín and Finca Los Monos. These teachers are specialists at making the learning environment a pleasant one in which each student can feel comfortable and develop their capacity. Other than this, we have extracurricular activities such as strolls around town, where students can put into practice what they've learnt in class. If you and your family have just moved to Panama and would like to make the transition for your kids as easy as possible, we would be more than happy to arrange a Spanish course for them to get them speaking Spanish, making new friends and performing well at school as soon as possible. Moving to a new country is hard enough... help them learn Spanish! For those of you who have relocated to Panama City, Boquete or Bocas del Toro, and are looking for a good excuse to have their grandchildren visit during their summer vacations what a better idea than to arrange a summer language program for them that combines Spanish lessons and plenty of Eco-Adventure Tours! For teens from 13 to 17 years of age we offer Spanish language lessons, either privately or in a small group of no more than 6 teens per class. From 16 onwards, students can also join an adult Group 4 class (year-round). 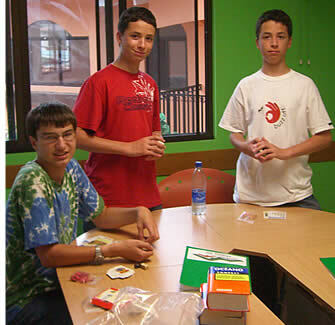 During summer vacations (June, July and August), teens can take part in our Group 4 Spanish Course with other teens (4 hours of group lessons per day) and during the rest of the year, teens can either have Mini-Group Classes (if they come with a sibling or a friend) or Private Lessons if they come on their own. It all depends on their Spanish level and on the Spanish levels of other teens that we might have at our school. 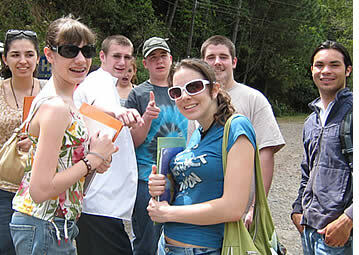 For teens traveling without their parents, we also organize Spanish Exchange Programs at Habla Ya Boquete. 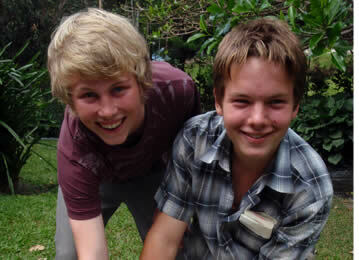 Teenagers who come and vacation with their parents in Panama can also study at our Spanish schools in Bocas del Toro or Panama City, Panama. What's the Experience Like for Teenagers? Besides having daily Spanish lessons, students will have the opportunity to interact with the local culture, make Spanish speaking friends, gain a better understanding of an environment different from their own, achieve more independence and responsibility, have a higher appreciation of what they have back home, participate in many social and cultural activities, take part in eco-adventure tours, help others by volunteering, and so much more. Parents are always amazed when they realize how much their teenager learned in just three or four weeks of Spanish lessons. Almost always, without an exception, teens will learn more Spanish through immersion than with several years in school back home. If you would like your teen to become completely fluent in Spanish, you should allow two or four months depending on his/her current Spanish level. Today's teenagers need a high dose of entertainment. Boquete, Panama's Eco-Adventure Capital, is the ideal place to keep teenagers busy allowing them to learn Spanish and have a one in a lifetime vacation. Teens that take part in this Spanish Exchange Program aren't really in a hurry go to back home. Students from 13 - 17 years of age can travel to our peaceful town and live with a responsible and caring local host family that will take them in their home as their own son or daughter. If parents are also joining us, they can also experience a home stay with the same host family, a different host family, stay at a hotel, or the entire family can stay together at one of our recommended lodging options. 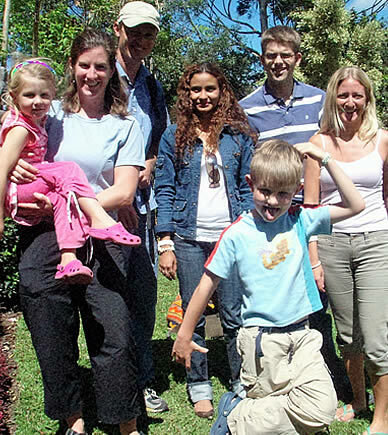 Many parents decide to start their family's summer holiday by joining our Family Language Vacation Program. After a week or two, once they feel more comfortable with the idea of allowing their teens join our Spanish Exchange Program, they go back to work or simply take advantage of the situation and go around exploring our amazing country as a couple and/or with other friends. Depending on your child's needs and circumstances, you might sign them up for Group Lessons, Private Lessons or for Mini Group Classes, and for this reason prices are shown for these three type of options. In short yes, because the bilingual experience makes them smarter. Learn more about it here... Contact us!